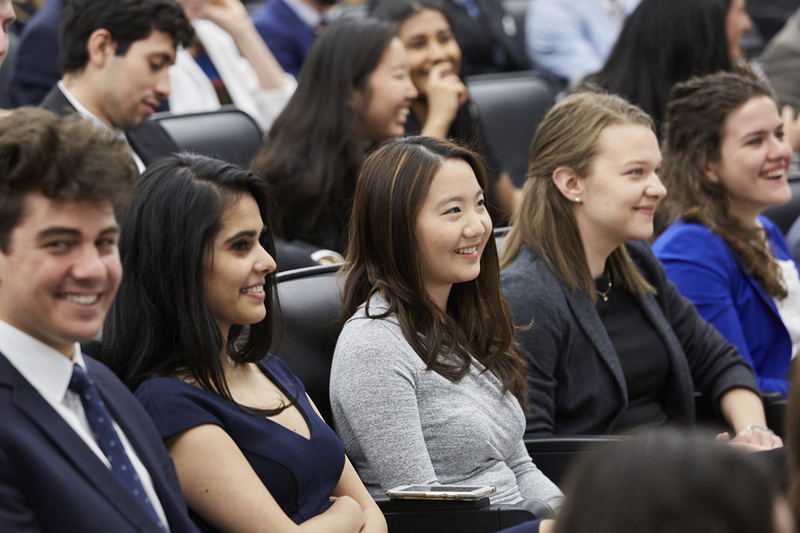 Jointly overseen by the faculties of Business and Health Sciences, the HLA was designed to have a transformative impact on healthcare by educating future leaders, supporting research activities and hosting engaging events. It’s located on the fourth floor of Burlington’s Ron Joyce Centre in a space known as the “Collaboratorium” due to the open flow of people, ideas and information. With its interdisciplinary core and experiential approach to education, those who study at the HLA are poised to make an impact in a number of fields – everything from informing government policy to developing and supporting health-related innovations. “The overall objective is to create an environment – meaning programming – that allows us to develop the next generation of leaders from a large cohort of people who are enthusiastic about healthcare,” says Del Harnish, Co-Director of the Academy, and Associate Dean, Undergraduate Education of the Faculty of Health Sciences. The courses we offer are very much learn-by-doing, in terms of how they’re structured. We want students to roll up their sleeves and gain practical knowledge through experience. According to Michael Hartmann, Co-Director of the HLA alongside Harnish, the best way to train those future leaders is by incorporating hands-on learning into the curriculum. The key to success, he explains, lies in the Academy’s pedagogy. 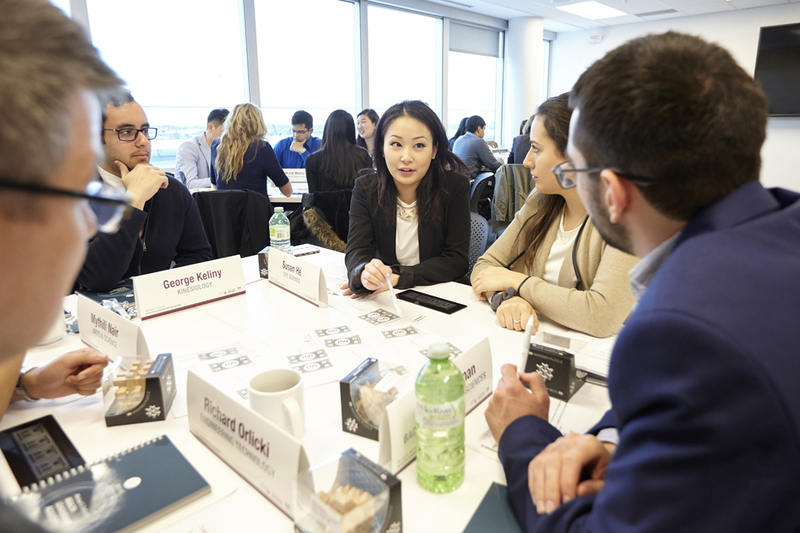 The Emerging Health Leaders Program, a hallmark feature of the HLA, is an intensive, residential leadership program for Ontario undergraduate and graduate students. Topics covered during in the two-week curriculum include: Building effective teams; developing strategies for innovation; difficult and persuasive communications; and management essentials in finance; among others. On the research front, the HLA recently announced the funding of four new research projects that will examine key issues from both business and health perspectives. Drs. Thomas Doyle, Norm Archer, Reza Samavi, Cynthia Lokker, all of McMaster’s Faculty of Health Sciences, are using HLA grant funding to study Ontario’s local health integration networks (LHINs). 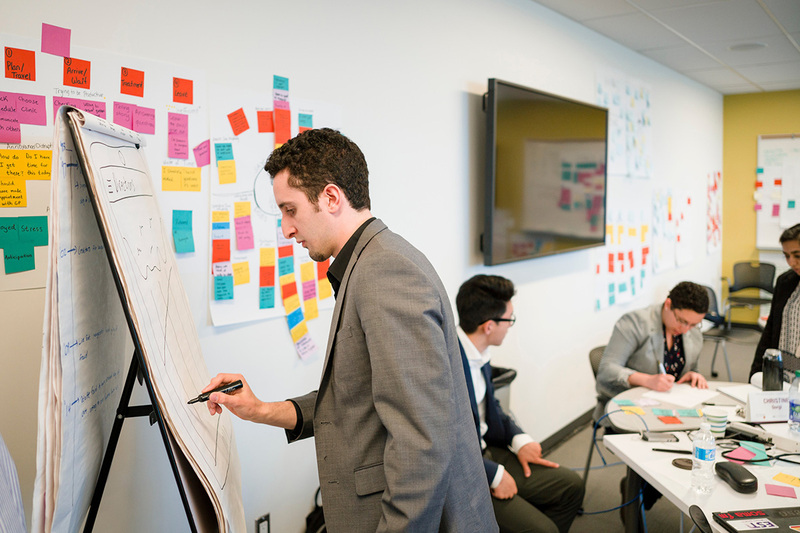 The team wants to develop a micro-LHIN or what could be called a ‘sandbox’ that reflects the structure of services, policies, and technologies current students will encounter upon graduation. Matthew Woolhouse, head of the McMaster Institute for Music and the Mind and an Assistant Professor in the School of the Arts, aims to create a technological screen-based dance application for people with Parkinson’s disease. Based on choreography from the Dance for Parkinson’s classes held by the Hamilton City Ballet, the application is designed to give users a realistic, virtual dance lesson in the comfort of their own homes. Gillian Mulvale, Assistant Professor at the DeGroote School of Business, along with Norwegian research partner Karl-Johan Johansen, is looking into the integration of formalized and intentional peer support services within clinical services located in hospital, primary care, and community settings. The study involves examining two sub-cases of peer support: One in Norway, and the other in Ontario. Finally, Dr. Meredith Vanstone, an Assistant Professor in the Department of Health Research Methods, Evidence, and Impact, has partnered with Catherine Connelly, a DeGroote Associate Professor and Tier II Canada Research Chair. Through a mixed-methods research project, the pair are looking at what exactly constitutes mistreatment, abuse, and unproductive behaviours in a clinical workplace or learning environment. Long-term, Harnish is confident the HLA will have a profound impact on healthcare systems at home and abroad, while also positioning McMaster as a leader in this space. “We have a view that if we do things well, it will have an impact on the system later. Change doesn’t happen quickly, so what we are trying to do is create a cohort of people who are thinking about the health system, its challenges and possible changes, and who know their role and potential contribution,” he says. Want to get involved in the HLA? Beginning in September, the Academy will launch a series of lunchtime events known as Collaboratorium Talks. The aim of the series is to share some of the health innovations that are being developed at McMaster. The opening talk, “How ‘Disabled’ Youth with Autism Enabled Our Workplace,” will take place Tuesday, Sept. 12 from 12 to 1:30 p.m. with Dr. Stelios Georgiades, an Assistant Professor of the Department of Psychiatry and Behavioural Neurosciences, and an expert in autism spectrum disorder. The HLA is also committed to supporting its community in numerous ways. The Academy is co-facilitating an interactive afternoon at the second annual Autism Research Stakeholder Symposium on Friday, Sept. 15 at McMaster Innovation Park, with a focus on rethinking autism training in Ontario. In addition, the HLA is sponsoring a panel discussion at this year’s Digital Leadership Summit, taking place Wednesday, Sept. 20 at Toronto’s One King West Hotel & Residence. The panel will focus on health and technology and the future of healthcare in 10 years and beyond, building off this year’s overall theme of Modelling the Future of Work. 2 thoughts on "Welcome to the Collaboratorium: Health Leadership Academy is poised to make an impact"